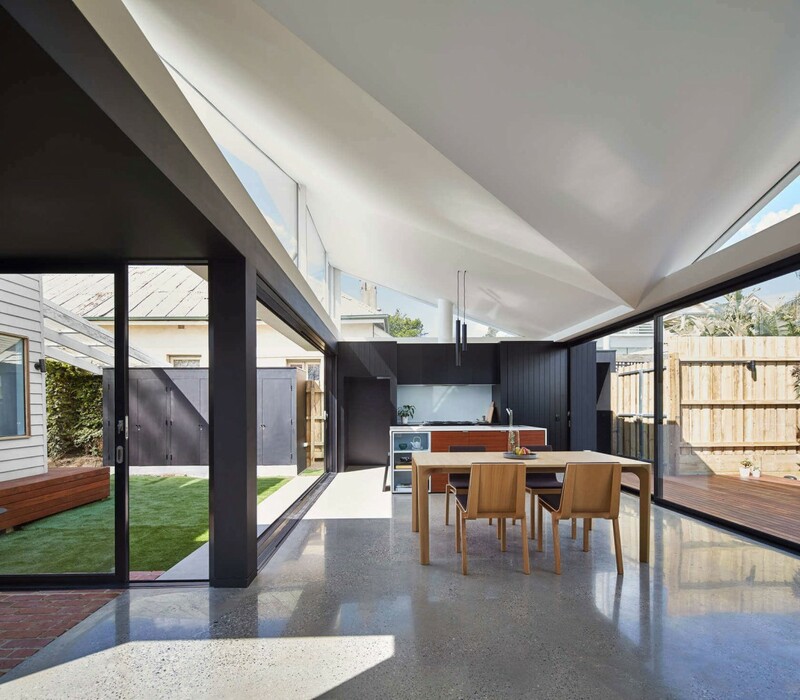 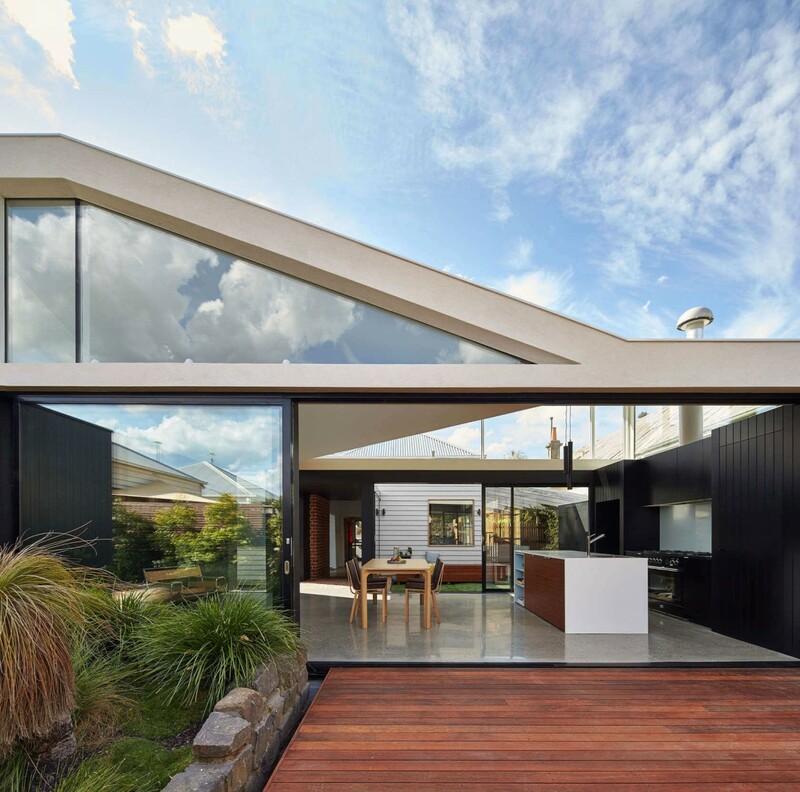 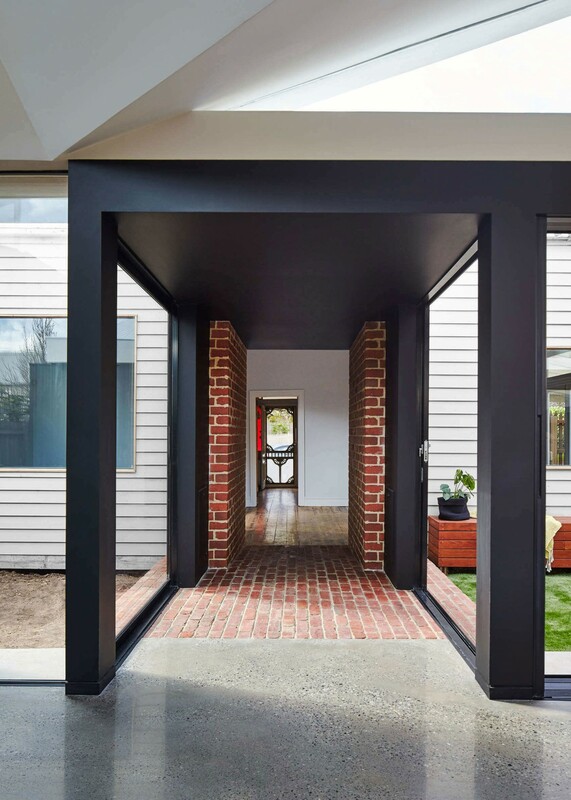 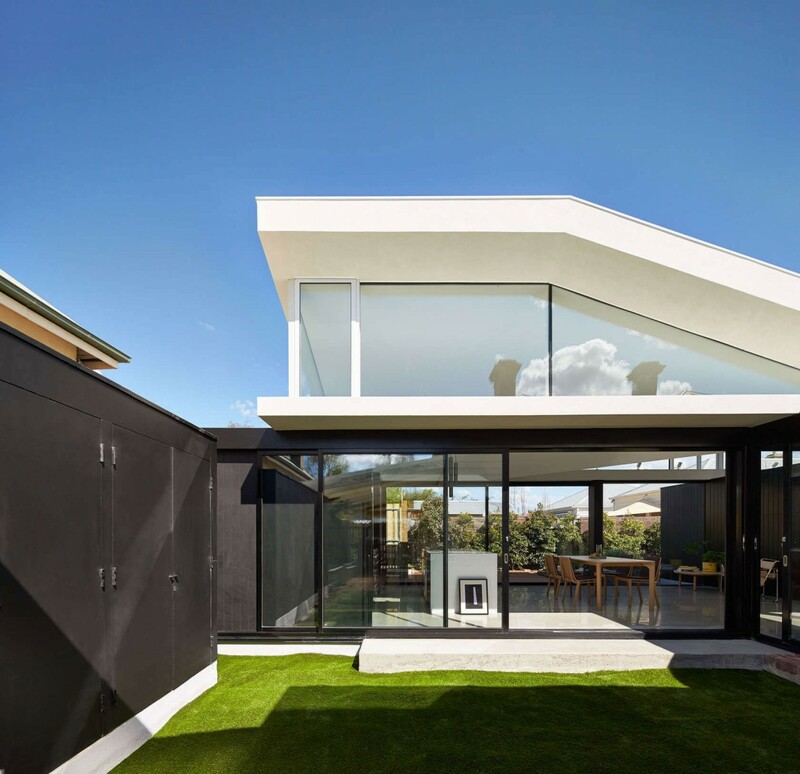 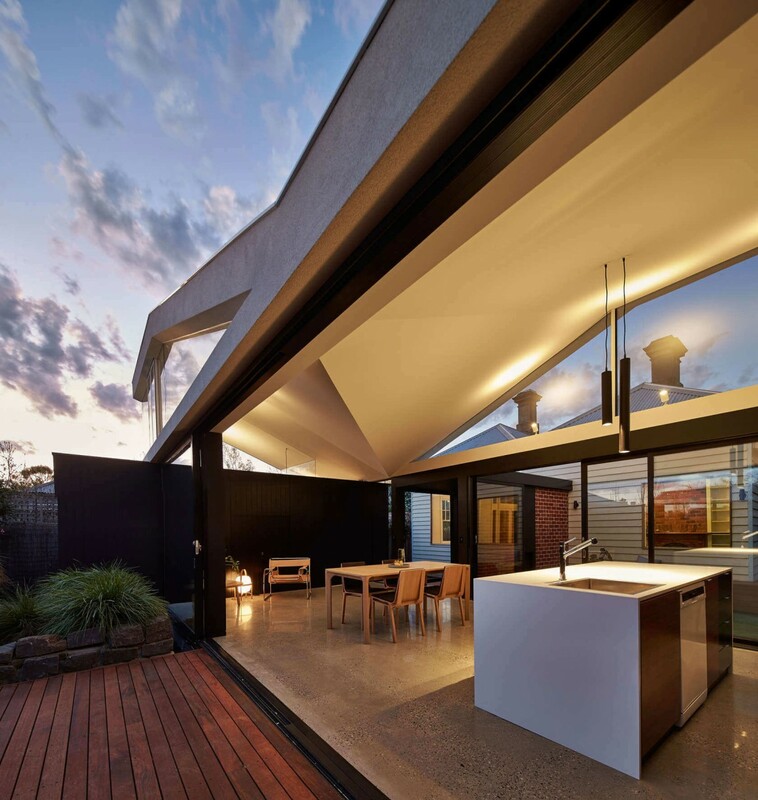 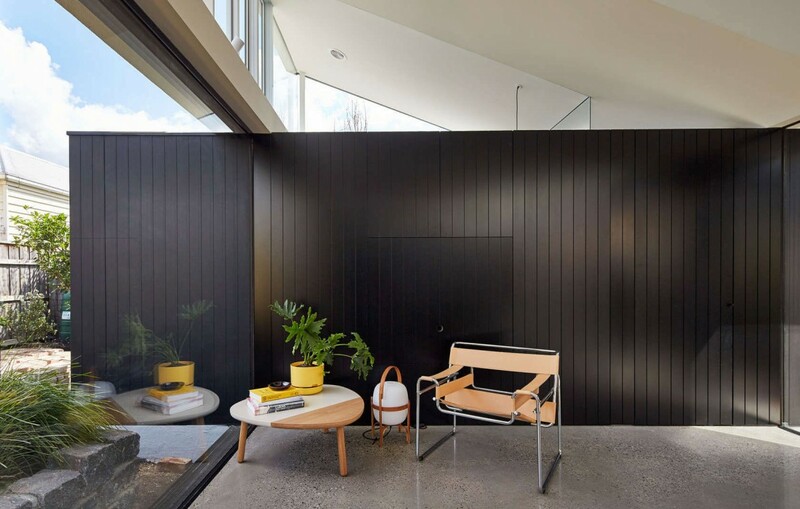 True to its name, the beautiful Tunnel House in Hawthorn, Australia not only acts as a link between different indoor and outdoor spaces, it also brings together contrasting styles from different eras. 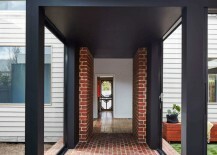 A classic double-fronted cottage in a lovely suburb of Melbourne, the home features a front façade that stays true to its original design, as it is left completely unaltered. 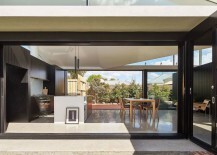 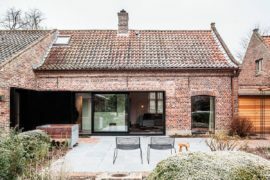 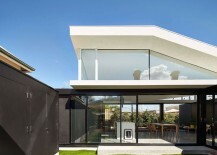 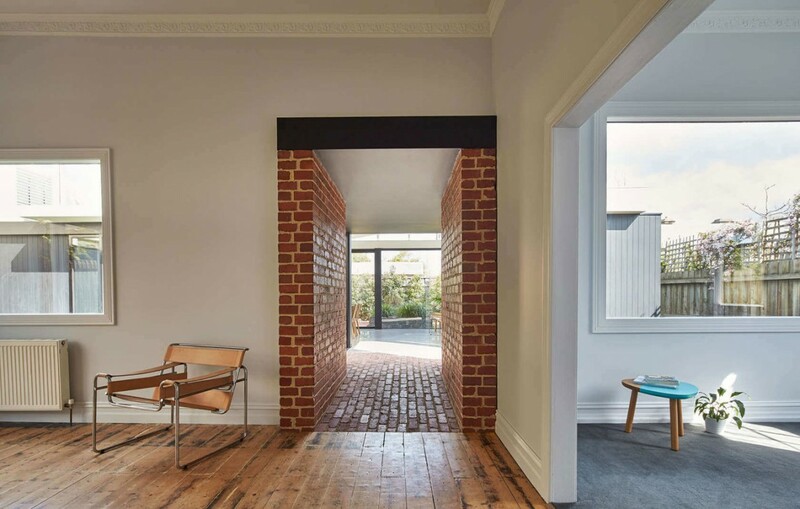 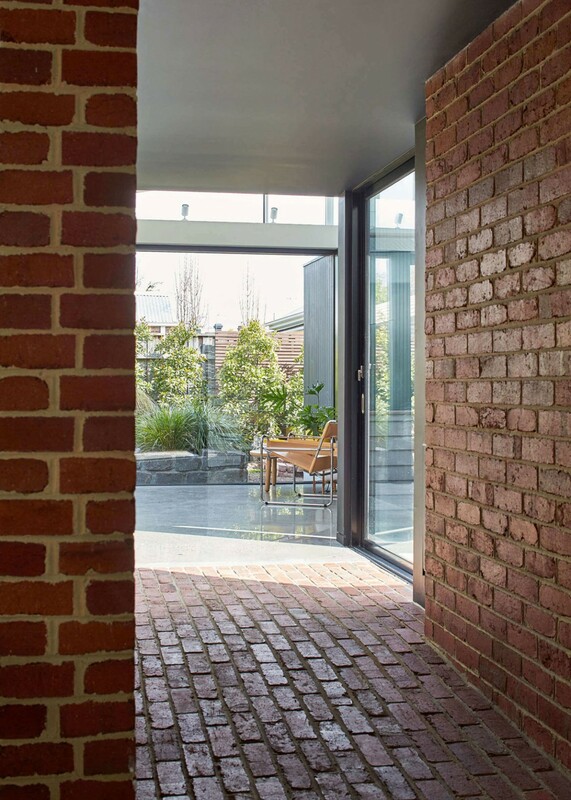 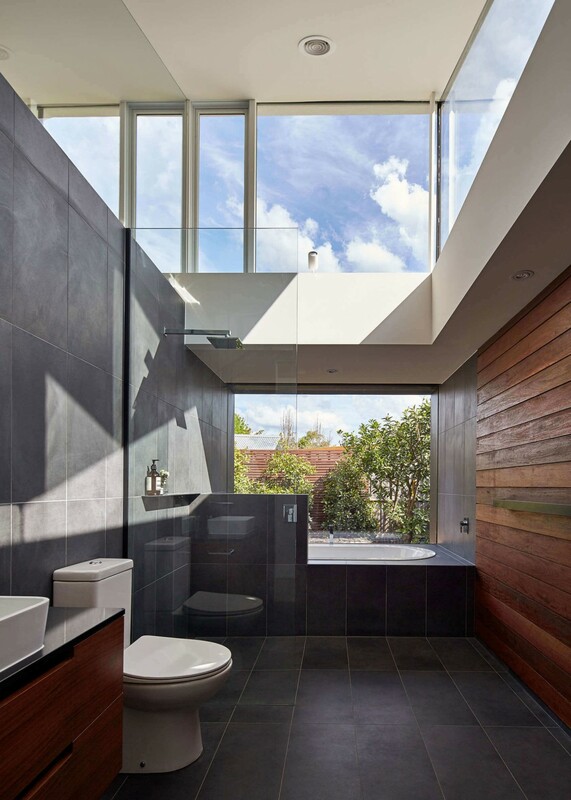 But as you move through the home, a brick and glass ‘tunnel’ connects the old, existing residence with a standalone modern addition, creating a seamless transition between the past and the future! 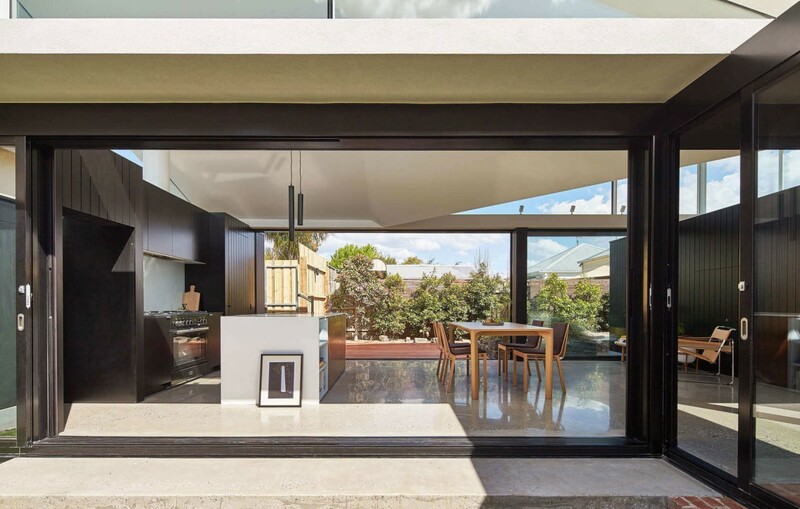 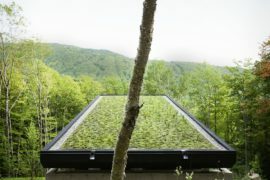 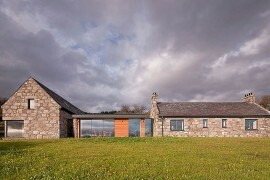 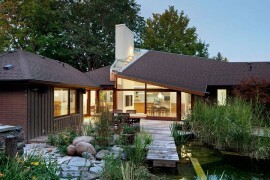 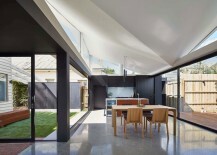 Designed by MODO, this unique approach brings much more than mere renewed aesthetics with natural light flooding through the renovated interior. 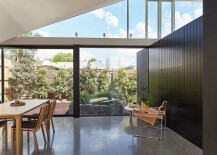 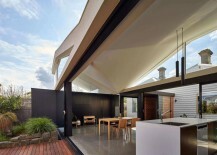 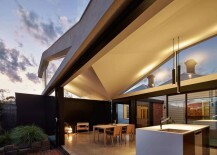 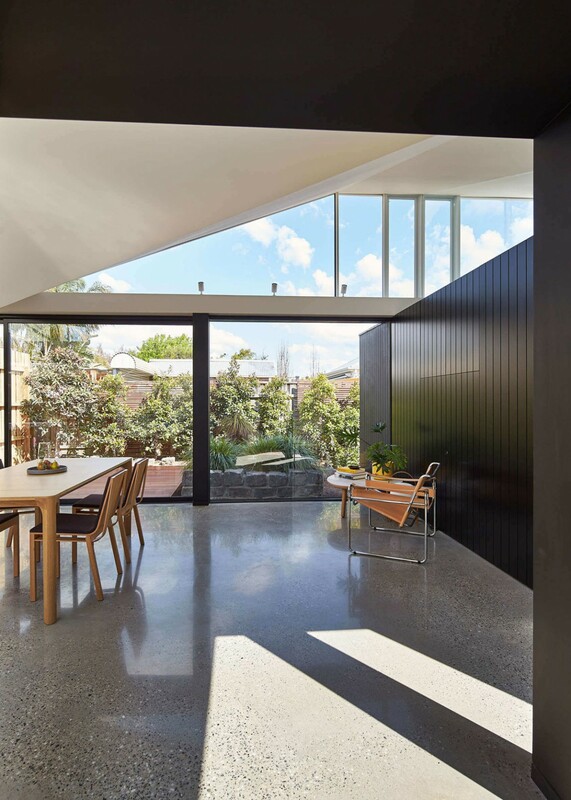 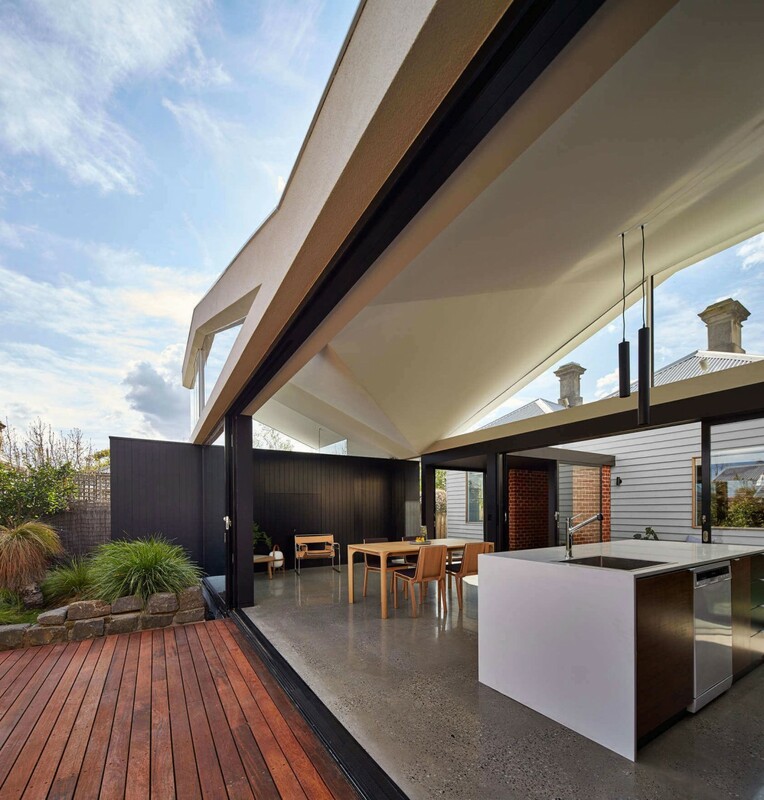 What was once a dark house because of its orientation is now a light-filled environment, with the novel living space being flanked by the small courtyard on one side and an inviting rear garden on the other. 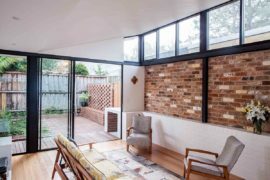 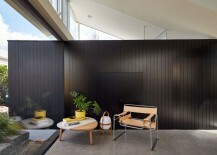 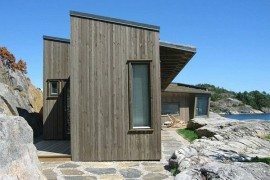 This was specifically done not just to bring in sunlight, but also to ensure that the makeover allowed the homeowners to spend more time outside, even while staying visually connected with the interior. 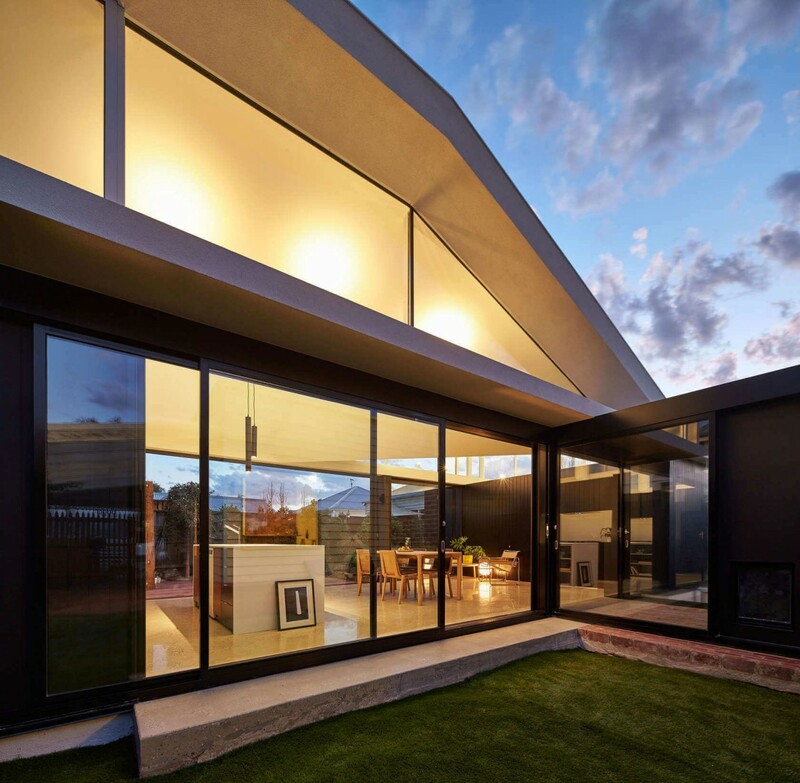 With a dining area, kitchen, living area, bath and laundry, the new family zone becomes the focal point of life at the Tunnel House.